This is a cutting-edge, self-development book on achieving happiness. 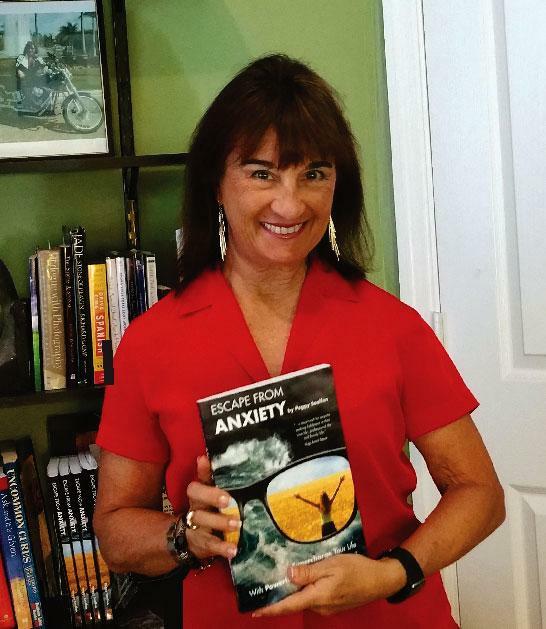 It offers easy-to-digest strategies to help you stop worrying, calm panic attacks and end emotional and mental stress dysfunction, allowing you to embrace the life you want and deserve. The suggestions offered are simple and deliver life-changing results! Sealfon shares her insightful personal experiences along with over 100 techniques, which will teach you how to find inner calmness and peace to achieve balance and joy in your life, allowing you to flourish and thrive every day. Her methods are based on current research in the neurosciences combined with ancient yogic disciplines and psychological methods. As a personal development coach, wellness specialist and an integrated life expert and coach, Sealfon is trained and certified in a wide variety of modalities, ranging from neuro-linguistic programming in psychology to the integrated Amrit method of Amrit Yoga, Yoga Nidra and quantum breath meditation to functional medicine, nutrition and energy medicine. She has worked with clients worldwide and has been published on a variety of subjects, including articles written for The New York Times and Newsweek International, among other publications. A must read! Written from the heart, full of practical advice. My new favorite resource to gain a fresh, lighter perspective! Peggy shares stories in an authentic, conversational style; easy to connect to and create a more empowering meaning for my life experiences. I look forward to sharing this treasure with my clients! "In just the first few paragraphs, Peggy was spot on with identifying what my problems were. She had me at Page 1! As you continue to read, and she writes in a style where you don't want to put the book down (ask my dentist as I tried to read while getting a cleaning), you increase in motivation and empowerment. Peggy really makes it seem so easy in the beginning and she gives you tips of what to do long-term for continued success." Peggy works with clients from all walks of life to help them overcome anxiety, stress, dysfunction, illness, PTSD and more, opening the door for them to live a more purposeful life. Let Peggy assist you. just click on the book cover below. Send me an AUTOGRAPHED book NOW!